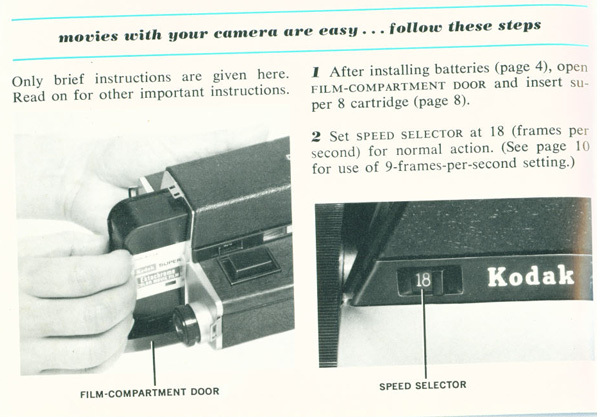 Welcome to a new world of super 8 moviemaking! With your new Kodak XL55 Movie Camera and the new Kodak Ektachrome 160 Movie Film (Type A), you can now make color movies with the light that exists in a typical living room, color movies of ice or stage shows, color movies of outdoor scenes at night or in subdued light, and color movies of other attractive subjects in subdued light. 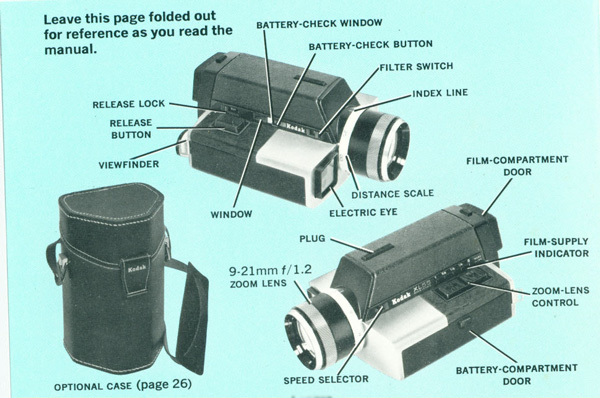 The Camera's built-in rangefinder permits you to focus the lens quickly. 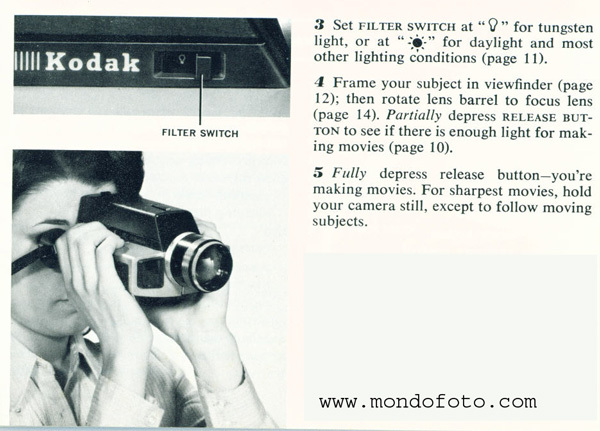 The built-in electric exposure control indicates a low-light condition.